Originally published in 1978. The present study had grown out of the deliberations of wage policy at the 1971 Congress of LO, the Swedish Confederation of Trade Unions. For many years the LO had pursued a policy of solidarity in wage policy – a policy which sought to relate pay to the nature of the work which an employee carried out, and not to the capacity or ability of the employer to pay. Several issues related to this policy are explored. 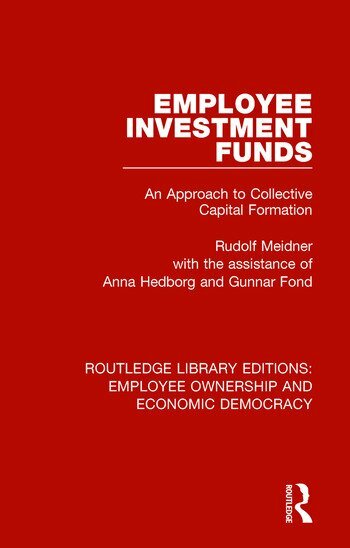 This study was extremely controversial when first published in Sweden, and will therefore be of great interest to students of economic history and democracy.